#StudyAbroadBecause countries can be adored, too! Cat Gaa left the skyscrapers of Chicago for the olive groves of Southern Spain in 2007. Seven years, three jobs and a Spanish fiancé later, she’s planning on Spain indefinitely (and owes her love of Iberia to study abroad). Find her online at Sunshine and Siestas and COMO Consulting Spain, for non EU residency consultation. What motivated your decision to go abroad? How/why did you choose where to go? When I finished college, my mother promised she and my dad would make study abroad a reality for me. I had been learning Spanish for a few years, so I knew I wanted to study in Spain. I chose to go on the Iowa Regent’s Summer program because it not only gave me credits towards my degree, but because the program was small and centered on language and culture. I learned the art of the siesta, finally mastered the subjunctive tense, and as soon as I touched down in Chicago, I was dying to go back. Two years later, I had finished my degree and had found a way to go back to Spain – the North American Language and Culture Assistant program, sponsored by the Spanish government. I worked at a rural high school near Seville, but I didn’t choose it – the Spanish government chose for me! Thankfully, Seville is a beautiful city with a solid expat community, and I don’t think I’d love lving elsewhere in Spain nearly as much! What was your experience like? What is your favorite memory? What were some challenges you observed? Entering adulthood in another culture and another language has been as awesome as it is frightening. I came to Seville knowing some Spanish, but not ready for the local accent or pace. I had zero contacts in the city, save a new boss who answered my frantic emails after I was already in the country. I had no work experience, let alone know how to teach a foreign language to a teen whose English didn’t stretch beyond “I’mfinethankyouandyou” and “yeah baby.” My first weeks were hard, and my drug of choice to cope with my decision was usually a carton of ice cream (and I gained 10 pounds in six weeks). But I wouldn’t change it for anything – I had to stand on my own two feet for once, step outside of my comfort zone and learn new skills. Everything seemed alien, despite being in a foreing country. I had no clothes dryer or oven (so pizza was out), didn’t know how to read cleaning product labels and fought bouts of feeling very, very alone. But I stuck it out a year, then two, then found a way to stay indefinfitely on a resident visa. It’s been well over seven years since I came to live in Spain. 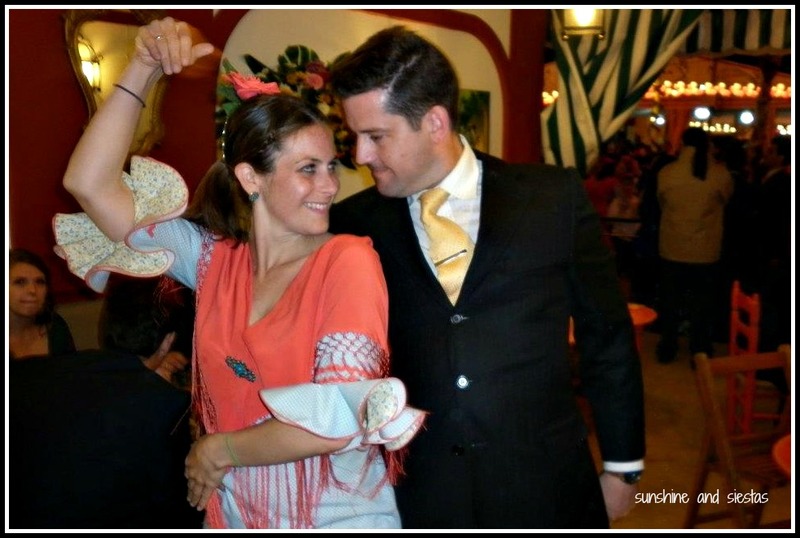 I always felt very out of place until my friend Susana took me to buy my first flamenco dress for the annual fair. As soon as I put it on for the first time and had a glass of sherry wine in my hand, I finally felt like I’d found my place. The fair is, to this day, my favorite time of year! What skills did you develop from your experience? Do you feel changed from your experience abroad? Apart from becoming bilingual, I’ve learned a lot about myself, about Spain and about my new career as a teacher trainer and entrepreneur! They go from the mundane, like driving a stick shift, to the more surreal, like cutting a big leg of Spanish ham. I felt like a total novice in life when I first came, and in many respects, I still do! Living abroad has definitely made me more assertive, more grateful and more in tune with my health and well being. I feel like I’m at my best self in Spain. Has your experience helped you get to where you are today? Without a doubt. Currently, I’m the director of studies and a teacher trainer, starting my own business, and I’m also doing some freelance writing and recording! Being abroad has definitely made me a Jill-of-All-Trades! Obviously I wouldn’t be living in Spain if I hadn’t decided to leave home and start teaching, and without such a positive experience in my first school, I would have left Spain and teaching behind years ago. I come from a family of teachers and always said I’d never teach, but I happen to like it and do it well! I’m starting a relocation consulting firm with another American expat, and having both come to this country alone and having fought bureacracy, we’re beginning to experience a surge of petitions. Without our experiences studying and working abroad, we’d not be able to handle our clients and their navigation of Spanish bureaucracy! What advice (on finances, the experience, etc) would you share with other students who are thinking of going abroad? Students today have a wealth of information at their fingertips these days! Start with your school’s study abroad office and ask if they have an alum willing to talk to you. Check out expat blogs and forums and start sending emails (we like hearing from you – I promise!). Read local newspapers from where you’re hoping to study, watch TV and, once you get there, push yourself. Don’t just travel to other destinations every weekend or hang out with your friends on the program. 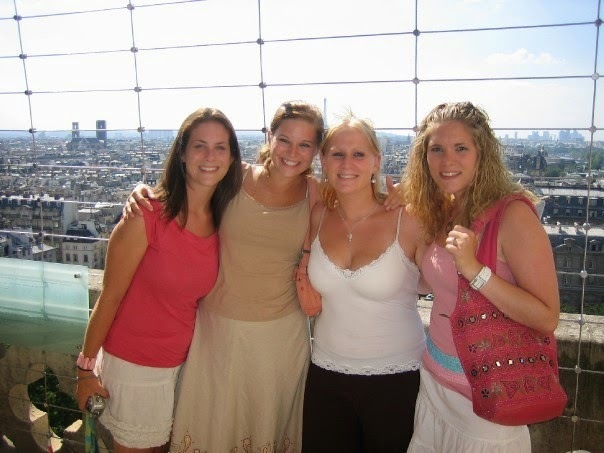 My study abroad experience, at seven weeks, wasn’t enough for me, so I went back! And then convince Mom and Dad you’re ready to go. Like most parents, my parents were happy with my choice to study abroad, encouraged me to move abroad, and were a bit wary that I decided to stay. But sharing in my life here and meeting the people who are important to me – my fiance and his family, my American friends, my Spanish friends, and even my former coworkers – has put them at ease. How has international education impacted or influenced your cultural identity? There is little doubt that my study abroad experience diectly influenced my decesion to move back to Spain after college. 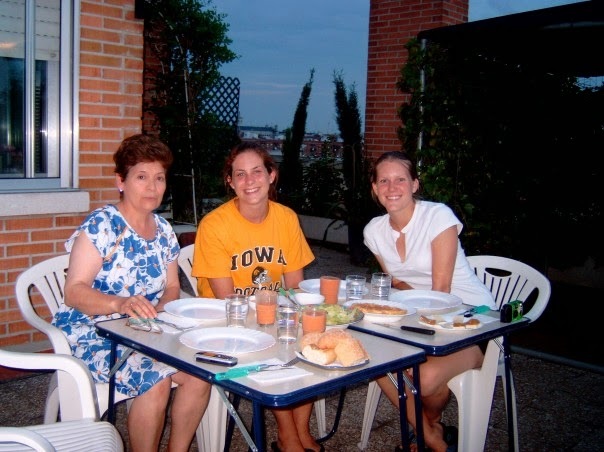 After Valladolid, I took more Spanish classes, became interested in foreign media (and even did my senior thesis on foreign coverage) and took steps to move abroad after graduation. Toying around with other options, I ended up back in Spain because I wanted more, though my fiancé and I haven’t taken moving abroad together before kids off the table – I’d love to go back to square one as a 30-year-old and try again! For as much as I wanted to get out of America all those years ago, I now feel very American. You can ask my mother-in-law how awesome my turkey is (even if I do have to defeather it myself!). Be safe, be open to adventure, be adventurous (especially with eating), be gracious to your host family, be curious, and be ready to want to go back! Love doesn’t just happen between 2 people. #StudyAbroadBecause countries can be adored, too!